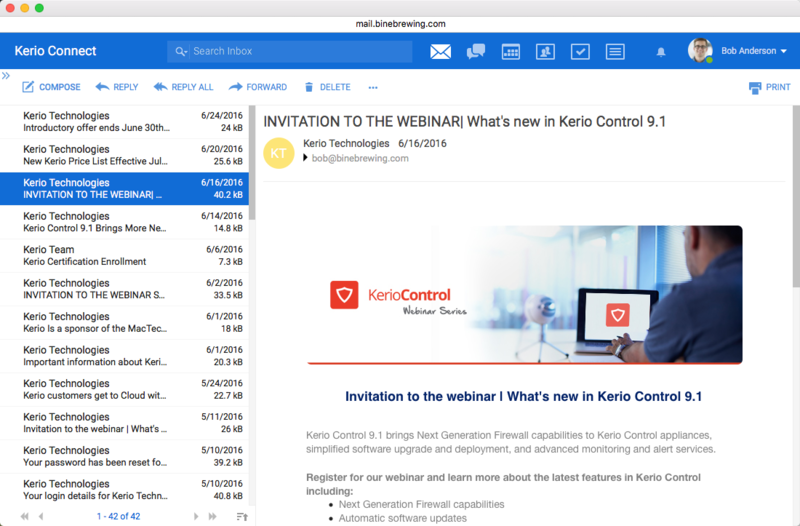 Kerio Connect also provides full support for Outlook (Windows and Mac) and many other IMAP or POP compliant email clients. And, iOS users can set up an account in the popular smart mail application Spark by Readdle, using an integrated Kerio Connect profile. 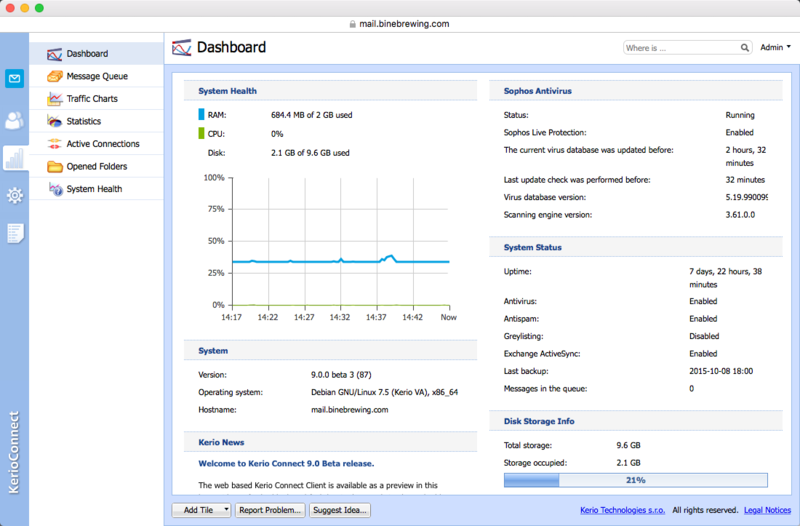 Kerio Connect Single-Server – Easily install Kerio Connect on your existing hardware, using your favorite host OS or hypervisor. We support most versions of Windows, Linux and Mac. Or choose the VMware virtual appliance to easily run Kerio Connect side-by-side on the same hardware as your other business applications without worrying about operating system compatibility. 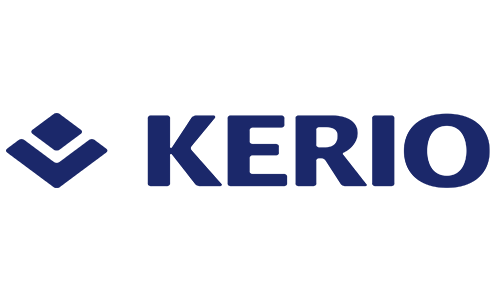 Kerio Connect Multi-Server – Deploy this modular, multiple server solution for greater scalability and performance in larger organizations and distributed multi-office environments, or in partner-hosted Kerio Cloud environments.